Washington, Nov 23 (IANS) For the most part Indians love things American, but when it comes to their tipple, the world’s largest whisky drinkers usually go for Scotch or their very own home-made brands. 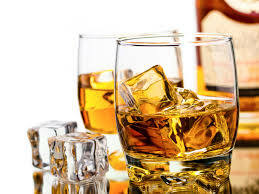 Indians drink almost as much whisky as the rest of the world put together, according to Distilled Spirits Council (DISCUS), US liquor industry’s leading trade association representing 16 large to medium and 110 small American companies. In 2011, for example, Indians consumed 1.3 billion litres of whisky worth about $21 billion in retail sales. But only $2.86 million worth of it came from the US in 2012, it told a Congressional panel last year. By 2013, US direct spirits exports to India had risen to $4.2 million, but it was still only a minuscule fraction (0.28 percent) of its worldwide sales of $1.5 billion with premium Bourbon and Tennessee whiskeys alone exceeding the $1 billion mark for the first time. “We are facing a very challenging market in India,” Frank Coleman, senior vice president, Public Affairs and Communications at DISCUS, told IANS on the American Whiskey Trail last week with a group of international media. What most of the Indians are drinking can’t be called whisky in the US and the European Union, both of which have a pretty specific definition of whisky as the grain based product, he said. Most of the Indian whiskys, particularly the cheaper stuff, on the other hand, are made from cane sugar as the cheaper sugar source, said Coleman. Then they add caramel colour and a little bit of Scotch to give it flavour and they call it Indian whisky with names like Bagpiper or Scotties. Coleman also sees other issues galore ranging from labelling to customs to tariffs – though they have come down from a one-time high of 400 percent to 150 percent. Then there are some dry states where one can’t drink at all. To change Indians’ drinking habits, DISCUS has made India one of 15 key targeted countries in its export promotion programme – Cheers from the USA – run in partnership with the US Agriculture Department since 2005. It even has American Whiskey Ambassadors in India and China. But “change in India comes slowly – you guys think in millennia, we see things in what happens next week,” he quipped. At this point because of import challenges, he believes that Jack Daniel’s, America’s top selling brand, and Jim Beam, world’s best selling Bourbon, are going to be the main players in India thanks to their large distribution networks. One could also see potentially Bulleit in the future as it’s owned by Diageo, London-based producer of Johnnie Walker Scotch whisky, which recently bought India’s largest liquor company United Spirits Ltd.
Indian whisky is also making its appearance in the US market, Coleman said though only some would qualify as whisky in America. The US companies would also be looking for opportunities for joint ventures or distribution in India, Coleman said.